Win it! 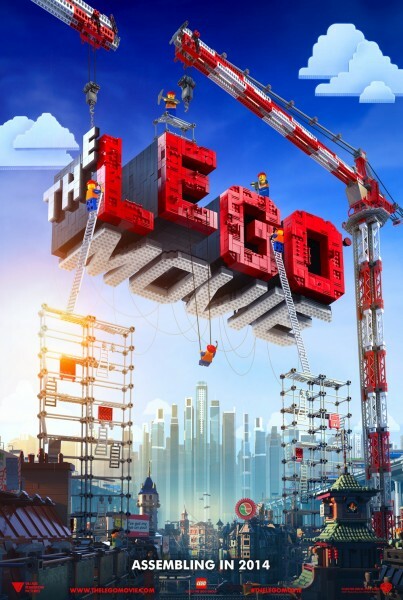 In celebration of THE LEGO® MOVIE, the first-ever, full-length theatrical LEGO adventure that hits theaters on February 7, I’m giving away and I free movie tickets for you and your family courtesy of Fandango. My kids are DYING To see this flick! Luckily, we’ll be going later this week to an advanced screening so stay tuned as my kids and I can’t wait to review the movie for everyone. 4 Winners will each receive $25 THE LEGOMOVIE gift cards from Fandango to give away, which can be used to purchase tickets on Fandango.com or Fandango’s free mobile app to more than 22,000 screens across the country. Woohoo! 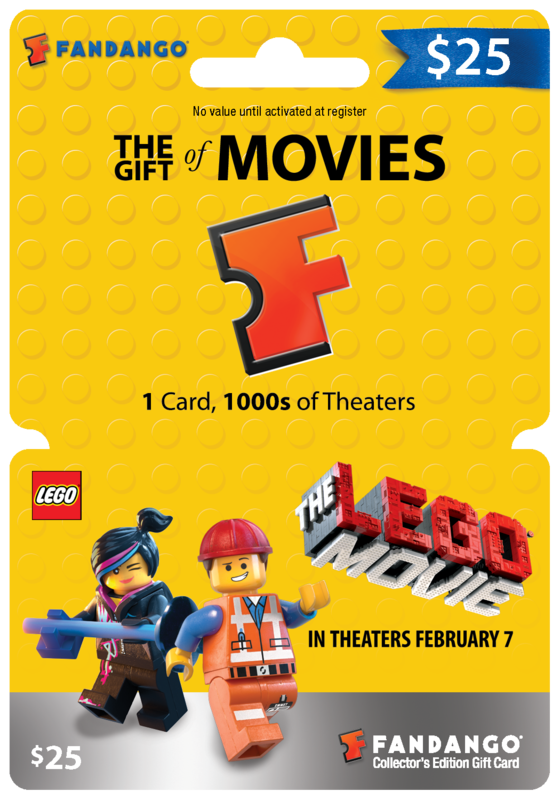 At retail, THE LEGO MOVIE Fandango gift cards are available only at Target stores and can be found in the Toys & Games section amongst the cool THE LEGO MOVIE toys, also exclusive to Target. The featured toys include 17 different building sets that enable children to bring THE LEGO MOVIE to life, helping Emmet and the Master Builders save the LEGO world from Lord Business. Imagination and creativity will run wild with these sets, which represent the most exciting and memorable scenes from the film. DDs would love this movie! My family is excited to see this movie!! Thank you for the chance to win!! 1/29 It looks like a cute movie! I would really love to win. I would take my mom, sister, husband and twins for their first movie! Daily Entry 1/29. You rock! I am looking forward to Will Ferrells voice in this movie. He is hilarious. my son has been begging me to see this movie and would love if we won :). My son has been asking me for a week to go see this! Looks great, I would love to watch it. I can’t wait to see the Lego movie! I love all of the voice actors in this so I’ll be sure to see it! would love to take my nephew to see this movie. 1/30 Have a great day! This would be a great treat of the family! 1/30/14 – Daily entry. Thanks. 1/30/14 – Daily tweet. Thanks! cant wait to see this movie!! I think every boy in my son’s third grade class wants to go to the Lego movie. Following Classy Mommy Colleen Padilla on YouTube as austieb7. Following Classy Mommy Colleen Padilla on Instagram as austieb7. My son has been waiting for MONTHS for this movie to come out! 1/30 Thanks for the giveaway! I would love to see this movie with my nephew! Thanks for the giveaway. Would love to see this with my niece and nephew. I want to see this! and im 19! but this would be perfect for my little brother, who dreams of being an architecture for Legoland! My husband and I can’t wait to see this! It looks so funny! Thank you for this giveaway! I would love to take my mom, sister, husband, and children. This would be great for family movie night. I really want to see this movie, it looks really cute. 1/31 Have a nice Friday! 1/31/14 – Daily entry! thanks. cant wait to see this movie with my daughter!! My sons would love to see this movie. I can’t wait to take my children to see this movie. My nephew Aiden really wants to see this movie! I would love to take Riley to see the Lego movie! my son jake wnats to see this. My son loves everything Legos and really wants to see this movie. 2/1 HAVE A NICE SATURDAY! 2/1/14 – Daily entry! Thanks. 2/1/14 – Daily tweet. Thanks! 2/1/14 – I follow classymommy on Youtube! Thanks. My kids are excited to see this movie. Thanks for the chance to win! My grandchildren would enjoy this movie. Every time I see a little Lego face I think of my oldest son. My family can’t wait to see this! i cant wait to take my nephew to see this movie! Follow Classy Mommy Colleen Padilla on YouTube Channel. 2/2/14 – Daily entry! Thanks. I would love to see this movie with my kids. Thank you for the chance! My daughter would love to see this movie! She LOVES Legos. We are taking our son Adam and a few friends to celebrate his 7th bday! 2/3 Have a nice week! 2/3/14 – Daily entry! Thanks. My grandson is looking forward to seeing this movie. Great contest I would love to win! My kids are so excited to see this movie! My grandbaby love the little lego characters. 2/4 Have a great day! 2/4/14 – Daily entry! Thanks. My son loves Legos and would love to see this movie. Both of my kids have really been wanting to see this movie! I’m very excited to possibly be able to take my family to see this movie! My kids talk about this movie all the time! We can’t wait to go and see it. 2/5 Have a nice Wednesday. 2/5/14 – Daily entry! Thanks. Oh my gosh! My Grandbebe Boy JoJo keeps telling me that I HAVE to take him to see this movie! I plan to take him very soon! Thanks for the chance to win! My boys can’t wait to go see this. we want to see this movie so bad! My son wants to see this movie! Lego’s and movies are two of my favorite things. I’m so excited to see this movie. Daily comment – 2/5. Thanks. We really want to see this movie. We are planning to have a family movie night by all going to the movies to see it together. 2/6/14 – Daily entry! Thanks. we are lego lovers. thanks for the chance to win! My 6 year old son is begging more than the other 3 kids to see this movie ( and I really want to see it also). I tried to get into a free screening of the Lego movie, but I couldn’t get passes. I really wanted to take my mo-worker, who’s a single mom and her 6 year old son. He REALLY wants to see this movie. Hope I win to take my family out to see The Lego Movie. Looks so funny! My son really wants to see the LEGO movie. I would love to take the family to the movies. Thanks. Thanks for the giveaway…our kids are psyched to see this one.